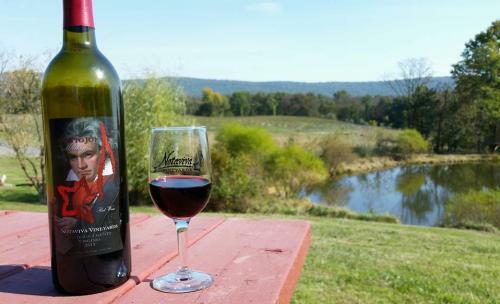 With 40-plus wineries in Loudoun, there is truly a wine tasting experience to fit anyone’s taste. But, many of Loudoun’s wineries invite visitors to come for more than just a tasting and have added unique opportunities that allow you to be immersed in the wine-making process, discover the region’s history or experience wine in a new way. Here are several wineries with special offerings sure to enhance your day at the vineyard! After serving Loudoun visitors for more than a decade, the owners at this winery decided to take their winery experience to the next level by offering a progressive history and wine tour of the property. For $22, visitors can sign up for a weekend tour that includes food and wine pairings at various 19th-century buildings on site. Some stops include the Springhouse where wine is chilled in fresh flowing spring water, and the circa 1850s Summer Kitchen where wine is paired with soup prepared in an iron cauldron hanging over the fireplace. This adults-only winery opened a new tasting room in 2017, which incorporates Middleburg’s rich equestrian history. 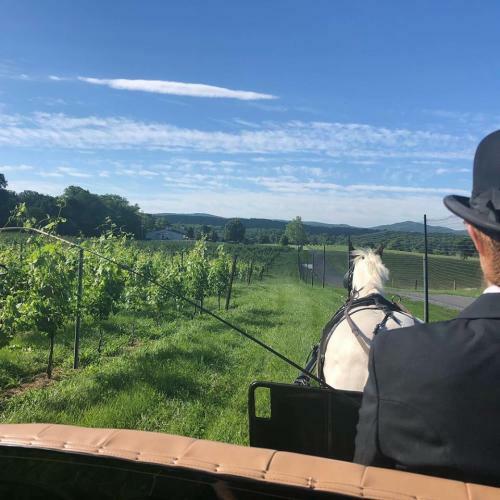 Not only is the two-story, equestrian-themed, tasting room filled with equestrian art, but guests can also partake in horse-drawn carriage rides around the property on weekends or by appointment during the week. Grab a glass of vino and relax for a ride through the vines and countryside. Wine is typically paired with cheese or chocolate but at this winery, the owners pair their wines with music. Winery founders Stephen and Shannon Mackey strive to capture the feelings that music can create and put them into their wines. With the help of augmented reality technology, visitors can now use a special app to scan the wine label and listen to the corresponding music. At Fabbioli Cellars, owner Doug Fabbioli educates visitors on how to properly pair food with wine. 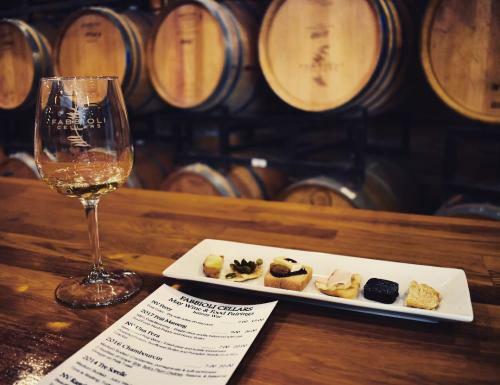 Each month, the winery offers a different tasting line up where visitors sample small gourmet bites along with seven wines. 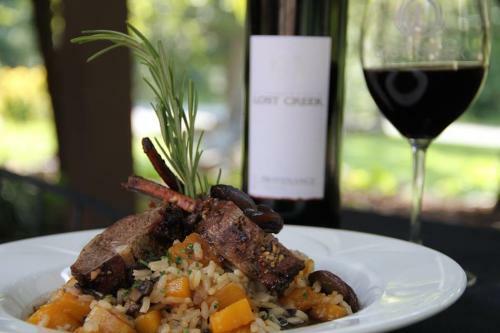 The idea is to showcase not only how a wine can be altered by a simple bite of food, but also how a wine can enhance the flavor of various food options. Also showcasing the importance of pairing food with wine, this winery added an in-house chef in recent years and moved to seated tastings where visitors get a more in-depth education about the wines. But, for those looking for a bigger investment into the industry, join the winery’s barrel club. 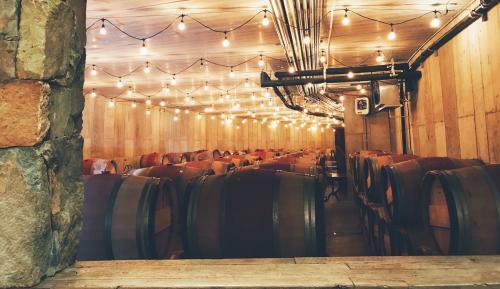 Members experience numerous perks including private barrel tastings each year to truly see how the wine is aging. Once the aging is complete, you get to keep the barrel and incorporate this piece of Loudoun wine country into your home. 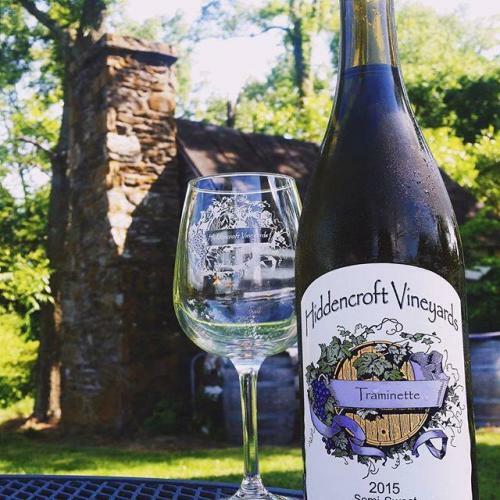 Check out all the unforgettable winery experiences in Loudoun!